Nestled in the heart of Dublin’s Camden street, Camden Bites & Brews is a modern, intimate and lively bar serving hand crafted cocktails and a range of domestic and international beers. By day, sip italian coffee, savour brunch and watch the world on our sun-soaked terrace. By night, old friends meet new ones as we bring fresh beats, tempting bites and craic by the glassful. Camden Bites are Brews has something for everyone as it is local and welcoming as well as cosmopolitan and eclectic. 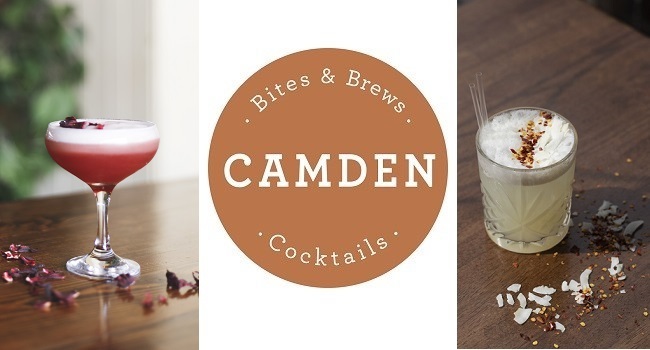 TheTaste and Camden Bites & Brews are giving readers the chance to Sip & Share 4 Delicious Cocktails for Two at Camden Bites & Brews for only €25.